Smelly, underslept entrepreneurs. Every tech event these days seems to have an all-night hackathon, so that’s what you get. 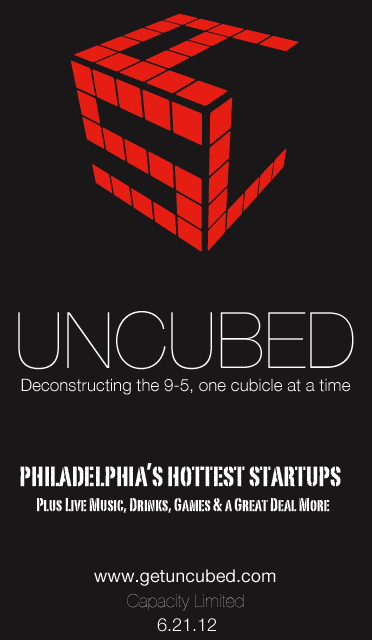 But startups, incubators, blogs — consider what’s going down at today’s Uncubed Tech Talent Fair in Philadelphia. Rather than a 24 hour hackathon, they’re having a “napkin pitch contest”. Entrants get a problem and just 10 minutes to come up with an idea for a company to solve it. No need for a lengthy business plan or even any coding. Those with the top submissions are invited to pitch their idea on stage to the audience and judges. You can see it in action today at the Uncubed Tech Talent Fair from 11am to 4pm (plus an after-party) at World Cafe Live – 3025 Walnut St, Philadelphia, PA.
Sure, a napkin pitch contest isn’t as accurate a test of true entrepreneurial skill. Having an idea is one thing, and executing is definitely the other. But Hackathons aren’t perfect either. They cater to ideas that can be shown off in flashy prototypes that a team couldn’t necessarily build or scale. A napkin pitch contest is also more accessible, informal, fast-paced, and fun, so it fits better into events that aren’t multi-day mega-conferences. Instead of a grueling war of endurance, the fast-paced contest only takes around an hour. Entrepreneurs should think big, about solving real world-changing problems. I think there are too many startups going after small, market problems that aren’t really making a dent in the universe. A proliferation of napkin pitch contests over hackathons could get more would-be founders to play with ideas that they couldn’t build in a day, but if they had the right team, resources, and a few years, could make a massive impact. I wish I could check it out in Philadelphia today, but clearly some company’s going to need to have a napkin pitch contest in San Francisco. Maybe we’ll even try one at Disrupt SF in September. Along with the plausible pitches, I bet there’d be some ridiculous moonshots that would remind us all that beyond all the serious business, entrepreneurship rules because you get to choose your own crazy destiny.